The political season is here. Most of the media focus is on the national race for the presidency. More strident utterances and accusations make the headlines coming out of the debates and the Twitter accounts of the candidates. Hillary Clinton has work to do, if she is to become the first woman president. History will be made if she is successful. But politics is local, and nine African American women in the Denver metro area are poised to make their own history. As the demographics of the city and suburbs change, there are more opportunities for seats in the different legislative and policymaking bodies – a handful have come before them, and their names are well known…Vikki Buckley, Wilma Webb, Gloria Tanner, Elbra Wedgeworth, Happy Haynes, Rosemary Marshall, Edna Mosley . Now, another generation of candidates is looking out for your interests in the role of government, keeping you safe, facilitating economic growth and educating your children. We asked them three questions to give readers insight into who they are and what they will do if elected. Some of their answers have been edited for length, but every effort was made not to change context or meaning. Question 1: Politics are local. What experience do you bring to be an effective lawmaker or policy maker to solve problems in our communities, and why are you the best person to fill the seat you are seeking? Question 2: What is your plan to make our communities better and participants in Colorado’s prosperity? Question 3: Who are your political (s)heroes and why? 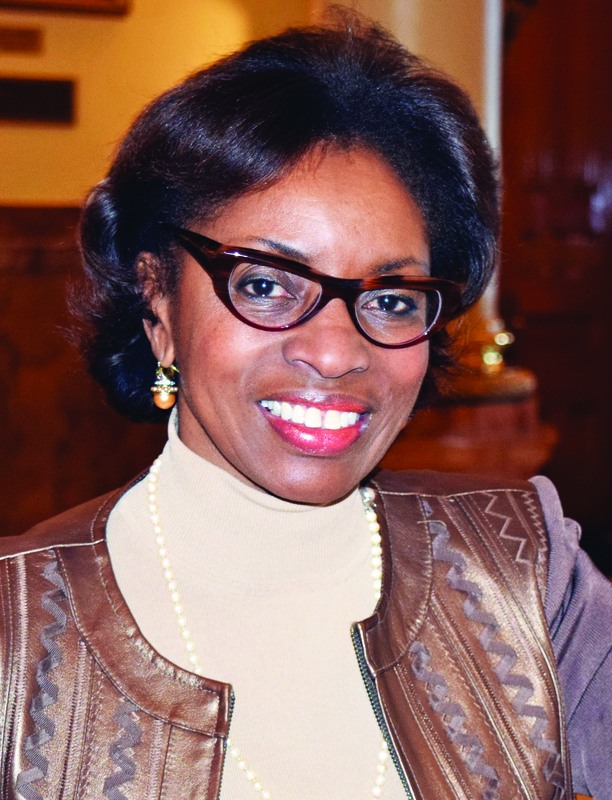 State Rep. Rhonda Fields was first elected to serve the Colorado House of Representatives for the 68th General Assembly in 2010. She is the first African-American woman elected to the state legislature to represent Aurora’s House District 42, Arapahoe County. In November 2014, she was reelected to her third term. Personal tragedy drove her into politics when her son Javad and his fiancée were killed prior to his testifying in a murder trial. She fought to pass House Bill 1379, which was designed to help ensure the safety of witnesses. The bill was passed and named the Javad Marshall Fields & Vivian Wolfe Witness Protection Act. It is in memory of her son’s courage, confidence and heroism that she founded the Fields Wolfe Memorial Fund, a nonprofit organization designed exclusively to promote academic excellence, civic engagement and community service. #1: During my three terms in the Colorado House of Representatives, I have worked hard to bring smart, innovative and effective approaches to government. I have led on passing legislation to strengthen ours schools, champion equal rights, create safer communities, and promote access to affordable housing and health care. Despite personal threats, I continue to stand up to the most extreme wing of the NRA and led the effort to pass groundbreaking gun safety legislation. Colorado needs bold progressive leadership that will not be afraid to confront the challenges we face. I will be that fighting voice. #2: I will invest in people and protect the values we share – justice, fairness and community. This means protecting our air, water and land. It means fighting for an economy allowing every Coloradoan to share in our growth and prosperity. It means strengthening our system of education so that children have the opportunity to pursue their dreams. As Democrats, we know that a strong middle class means a stronger nation. Clearly Colorado needs a champion – a leader who will push open doors to create ladders of opportunity for families and individuals alike. We owe it to the next generation to level the playing field, and I will never stop fighting for our children’s futures. #3: Apart from several local leaders who all have played an instrumental role in shaping my political perspective like the Honorable Wilma Webb, Senator Gloria Tanner, State Rep. Rosemary Marshall and City Councilwoman Edna Mosley, my heroes growing up were the architects of the civil rights movement. I admire people like Thurgood Marshall, Charles Hamilton Houston, and Constance Baker Motley. All of these leaders demonstrated to me that progressive social change was not confined to the streets, and that true activism could also be practiced in the courtroom and legislature. Because of these amazing individuals – I can stand up and speak up!